At d2i’s ACEP booth, interested delegates were able to see emergency medicine performance analytics firsthand. 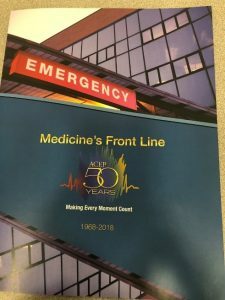 Emergency medicine’s annual gathering explored violence in care settings, the evolving health care model, and the need for actionable data. The American College of Emergency Physicians (ACEP) recently celebrated its 50th anniversary in San Diego, California, presenting ACEP18, which broke its all-time attendance record with about 8,000 attendees. As a subspecialty, emergency medicine has come a long way in a very short time. Getting patients through their most frightening moments, emergency physicians and advanced practice providers (APPs) provide vital services 24 hours a day, seven days a week. We, too, believe emergency physicians and APPs are superheroes. We have been providing data acquisition and performance analytics solutions in emergency medicine for 20 years and have had the privilege to work with many of the best. However, the typical emergency department (ED) is coming under increasing scrutiny due to cost containment and quality programs. So, it must be better positioned to proactively seek opportunities for improvement and defend the value it provides. As delegates explored what can actually be done, they showed their superhero colors, agreeing that whatever the challenge, they were ready to dive in and solve problems without making excuses. That’s just what they do. In addition to financial and administrative pressures, there has been a disturbing increase in the level of violence in EDs. Emergency physicians at ACEP discussed the results of a newly released survey on ED violence. Half of those surveyed said they had been physically assaulted on the job, and seven out of 10 had witnessed a colleague being subjected to physical assault. Many stories were shared in the ACEP daily news. Several factors have presented significant disruptive challenges to EDs, particularly changes in the insurance industry, and the increase in alternative care settings such as urgent care clinics and telehealth. At EDPMA last May, Dr. Paul Kivela, outgoing ACEP president, put it best: In order to respond to the challenges, “we need to view emergency medicine not as a place but as a specialty.” He went on to describe the vital and unique skills that emergency physicians offer, regardless of how current health care business models change. Speaking of our good friend, Paul Kivela’s leadership has been inspirational, and we wish him the best as he moves on to his next adventures. We want to also congratulate some other friends: Dr. William Jaquis, ACEP’s president-elect; Dr. Vidor Friedman, for beginning his term as ACEP president; Dr. Mark Rosenberg, a d2i customer, for being re-elected to the ACEP board of directors along with doctors L. Anthony Cirillo, John T. Finnell, and Christopher S. Kang. During our focus group at ACEP18 there was a common theme that came from all participants: Relevant, actionable data is an absolute must in order for an ED to drive important improvements in efficiency, quality, revenue optimization, and patient satisfaction. 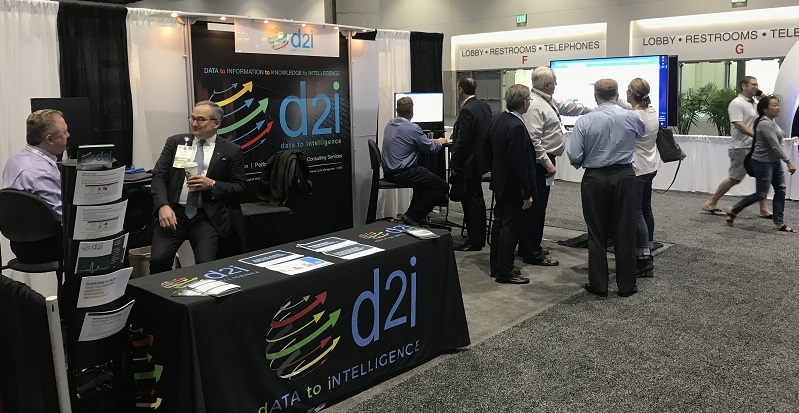 The increasing interest in emergency medicine performance analytics was clear, with many interested delegates stopping by for demos at the d2i booth during each of the exhibit hall sessions.